During my student years at Stockholm University in the 1970s I did a rather extensive study of the Kabbalah, resulting in a short thesis on the early Merkabah mysticism, presented at the History of Religion department. As an addition to my academic studies I also read every book I could find on the Kabbalah, written by various exponents of the Western Mystery Tradition, authors such as Dion Fortune, Gareth Knight, W.E. Butler, A.E.Waite a.o. On July 29, 1975 I recorded a fascinating dream in my diary. I found myself in an antiquarian bookshop in Stockholm. Perusing the Esoterica shelves I noted a small volume with the title For One Penny Kabbalah. A sort of easy to understand primer or in todays language, Kabbalah for Dummies. I bought the book of course. This dream reminds me of the difficulty in suggesting books on Esotericism for those who are not familiar with the subject. 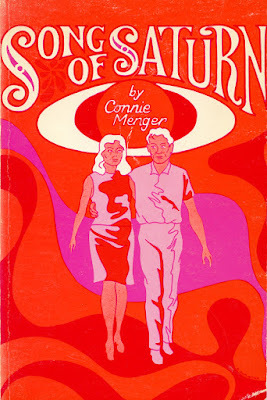 As I often refer to the Esoteric Tradition and Esotericism on my blog, readers now and then ask for guidance in finding literature for beginners. 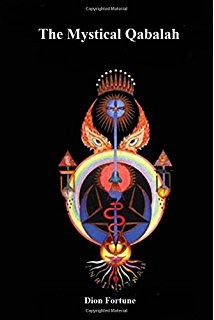 Unfortunately I must confess that I have not found any book I can, without reservations, recommend as a beginners guide to Esotericism. 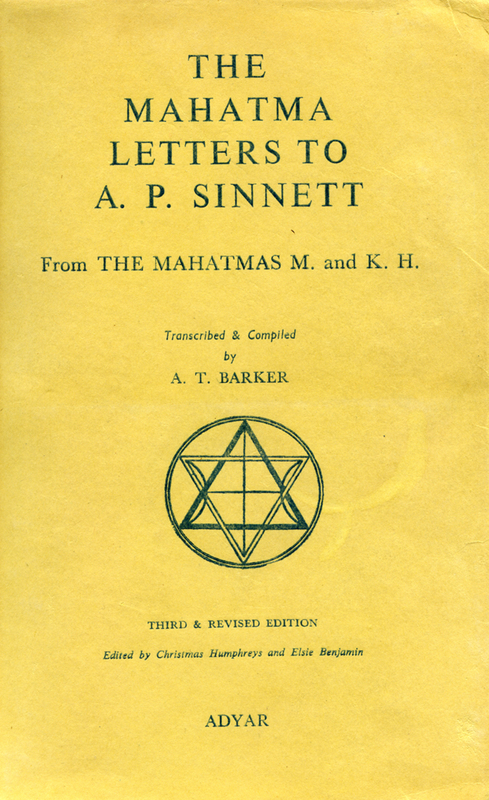 Much useful information can be found in the early Theosophical (Adyar) literature although somewhat outmoded and not always accurate in detail, as it was the first public attempt to explain esotericism. 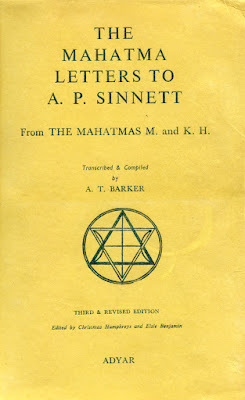 The many books written by Alice Bailey, amanuencis for the Tibetan adept D.K., are a treasure trove of esoteric information but most of them are too difficult for the beginner as they are written for the advanced student. The best introduction to esotericism so far published on this planet are the books by the Swedish esotericist Henry T. Laurency: The Philosopher´s Stone and Knowledge of Reality. They appeal primarily to scholars, intellectuals and philosophers. But there is still no introduction to esotericism especially aimed at the strictly empirical scientist who demand well documented empirical data supporting the esoteric worldview. There are indications that this will be the next project implemented by the planetary guardians. If you are satisfied with the prevalent materialist, reductionist worldview or adhere to some orthodox theology, of whatever religion, stop reading here as esotericism will for you only be intrepreted as irrational fantasies or dangerous hereticism. Better then to return to the safe world of mainstream science and the secure embrace of your church. But for the critical but open minded seeker this very short Esotericism for Dummies, with some relevant quotes and literary references, may be of help in discovering the philosopher´s stone. 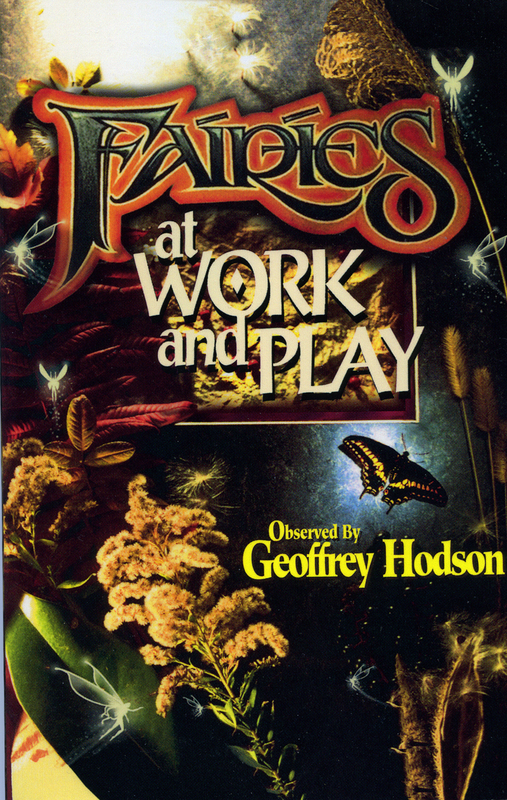 Because of personal experiences, years of study and investigation of UFO and paranormal phenomena or simply by gazing at the night sky pondering and contemplating the greatest enigma of them all – the existence of consciousness in the universe – you have been convinced that ”there are more things in heaven and earth than are dreamt of in your philosophy”. As a corollary to this heureka moment you have also come to understand that we live in a multiverse of sentient beings and energies that humanity on this planet are not normally aware of. If there is a multiverse inhabited by various sentient beings of different evolution and intelligence there must also be a science of the multiverse. Which implies that it is reasonable to assume the existence of "scientists" of the multiverse or custodians of knowledge so far not discovered by mainstream science. Now you have arrived at the fundamentals of The Esoteric Tradition or The Ancient Wisdom. Standing before the portal you may open the door to a new world. But tread lightly, with care and common sense, because this is dangerous territory where it is very easy to get lost. A stumbling block is how to discover and define esotericism? Can any teachings be regarded as esotericism simply because the proponents of some author or mystery school use this term? Is the writings of Rudolf Steiner, Martinus, René Guenon, Krishnamurti, Elisabeth Clare Prophet, Helena Roerich a.o. to be regarded as esotericism? How do you know that what I define as esotericism is real knowledge of the multiverse? The simple answer is, you don´t, as you can´t verify the information given. You can only rely on your own knowledge, experience and common sense in answering this question. For the open minded scholar studying esotericism the advice by Henry T. Laurency should be remembered to keep a psychological balance and intellectual integrity: “Even if by thorough study you are however much convinced that the hylozoic system agrees with reality, yet you must view it as a working hypothesis... This principled attitude is necessary to avoid all manifestations of dogmatism, fanaticism, and intolerance." (Henry T. Laurency, Knowledge of Life Four, 1995, online ed. p. 29-30). This is also the position recommended by the Tibetan, D.K., in the books written by Alice Bailey: "Our attitude should be that of reasonably enquiry and our interest that of the investigating philosopher, willing to accept a hypothesis on the basis of its possibility... Those open minded investigators who are willing to accept its fundamentals as a working hypothesis until these are demonstrated to be erroneous. They will be frankly agnostic..." (Alice Bailey, A Treatise on White Magic, 1971 (orig. 1934, pp 6, 32). Esotericism is the science of the multiverse, the knowledge of reality offered mankind by individuals belonging to the next or fifth kingdom in nature, our future in evolution. It is not some vague form of mysticism but as exact as any academic discipline. ”It is necessary to assert with vigour that esoterics is a summary of the facts which mankind has received from the planetary hierarchy and which are beyond the range of what is possible for human beings to ascertain.” (Henry T. Laurency, Knowledge of Life Three, 17.1:4 online ed). Terminology is still a great problem in esotericism as anyone can acertain reading Theosophical classics as well as Alice Bailey. Much confusion exists as terms are used which are not clearly defined and with different meaning in various esoteric books. Bailey´s teacher D.K. often commented on this issue: ”A new and deeper esoteric terminology is badly needed.” (Alice Bailey, Telepathy, p. 131). 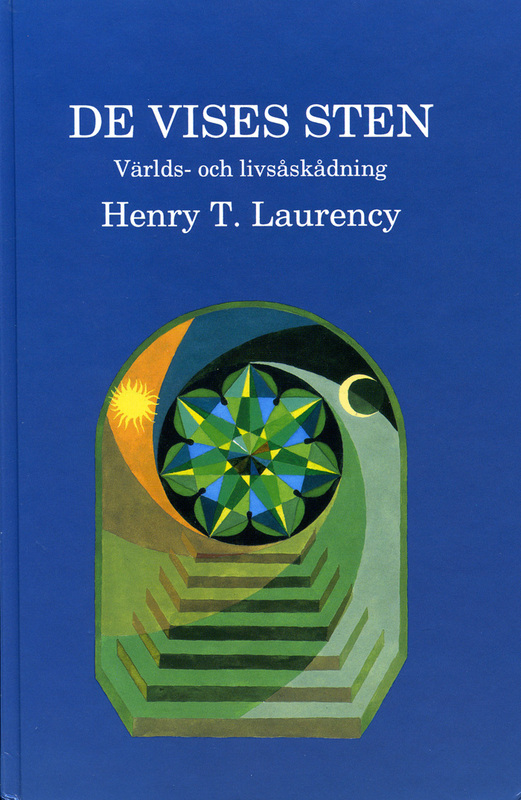 The Swedish esotericist Henry T. Laurency has made a commendable effort introducing a new and better terminology in his works. But he as well as Bailey still use the word planetary hierarchy as the name for the organization of adepts on earth guiding our evolution. Personally I prefer the term planetary guardians or the more iconoclastic Higher Intelligence Agency (HIA). Neither does the term master appeal to me as it immediately is associated with religion. Adept or teacher is preferable as most adepts are living in physical bodies on earth and appear very ”normal” in all respects. "They will stand forth as living examples of goodwill, of true love, of intelligent applied wisdom, of high good nature and humour, and of normalcy. They may indeed be so normal that recognition of what they are may escape notice.. I would here remind you that many of the Masters are married and have raised families." (Bailey, The Externalisation of the Hierarchy, p. 699). ” And, you have heard of and read about a good many Seers, in the past and present centuries, such as Swedenborg, Boehme, and others. Not one among the number but thoroughly honest, sincere, and as intelligent, as well educated; aye, even learned… Tell me, my friend, do you know of two that agree? And why, since truth is one, and that putting entirely the question of discrepancies in details aside — we do not find them agreeing even upon the most vital problems..." (Letter 48). ”Unless regularly initiated and trained — concerning the spiritual insight of things and the supposed revelations made unto man in all ages from Socrates down to Swedenborg and "Fern" — no self-tutored seer or clairaudient ever saw or heard quite correctly." (Letter 40). A very fascinating and promising prophecy in esoteric literature is that within a hundred years we will be able to photograph and film phenomena of the etheric world and other parts of the multiverse. If this prophecy is correct that would be the definite end of materialism as a mainstream academic worldview. ”In the coming centuries, man´s normal habitat will be the entire physical plane up to, though not including, the second subplane. The forth and third etheric levels will be as familiar to him as the usual physical landscape to which he is now accustomed… Men in their etheric bodies will be noted, and communicated with, and the devas and elementals of the ethers will be studied and recognized.” (Alice Bailey, A Treatise On Cosmic Fire, p. 474). These discoveries will slowly change our entire culture. We will finally have scientific evidence that there is no death, only a change of form. A sort of re-enchantment of the world advocated by scientists and scholars (instead of disenchantment), to use the terminology of sociologist Max Weber. It will also be realized that the Esoteric Tradition or science of the multiverse is and have always been the, more or less hidden, third intellectual force or pillar in cultural history alongside religion and science. ”Where are the UFO detectives?”, is the very relevant question asked by Jacques Vallee in his classic tome Messengers of Deception (p. 222, 1979 ed.). I often ponder on this problem myself when following what mainstream, scientifically oriented, ufologists spend their time on studying and publishing. Endless discussions about ordinary UFO reports which more than often prove to be misidentifications of planets, airplanes, insects caught on digital cameras etc. or reports that have rather obvious psychological explanations. 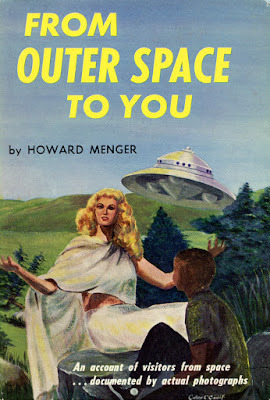 Why all this distractive activity when there are literally thousands of very intriguing close encounter and physical contact stories just waiting to be examined? The only cases that can give us actual data on the real UFO enigma. 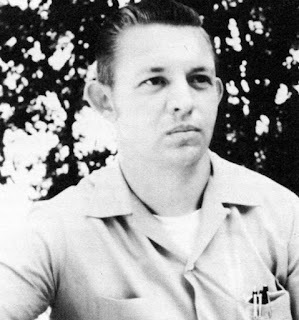 I discussed this problem with ufologist Lucius Farish in the 1980s and we both voiced our frustrations regarding the research situation in the UFO community: ”You made a comment in your letter which should be the motto of anyone who dares to call himself a Ufologist – ”To hell with the scientists, I want the truth!”. That expresses my feelings perfectly! As you say, the so-called ”scientific ufologists” are so concerned with their ”image” that they are almost totally useless when it comes to actual research. If one already knows the answers or knows what it is and is not ”possible”, there is no need to research. It is really a deplorable situation. I have no hesitation in telling people what I think about groups and individuals who refuse to do what they should do.” (Letter from Lou Farish, April 21, 1985). 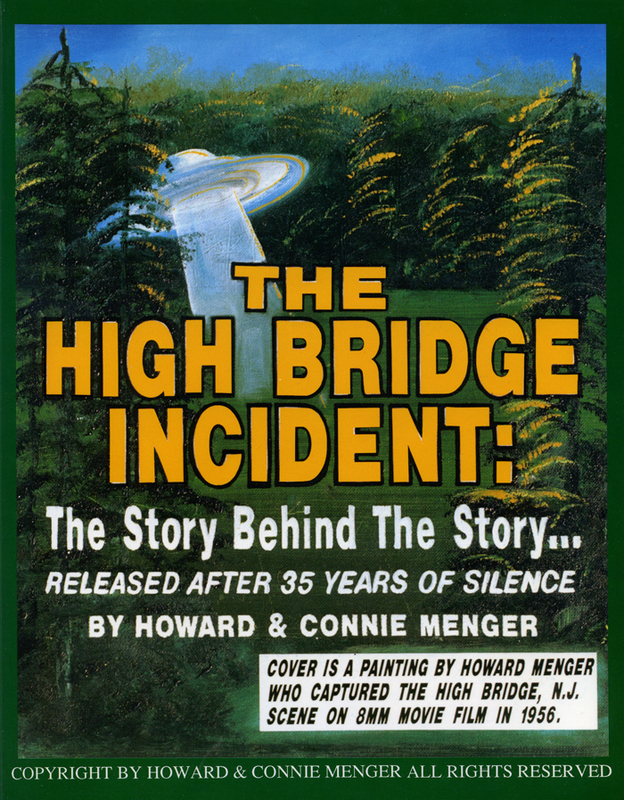 When it comes to investigating physical contactee cases even Allen Hynek and Jacques Vallee failed as UFO detectives and simply dismissed many of these encounters with a priori debunking pronouncements. 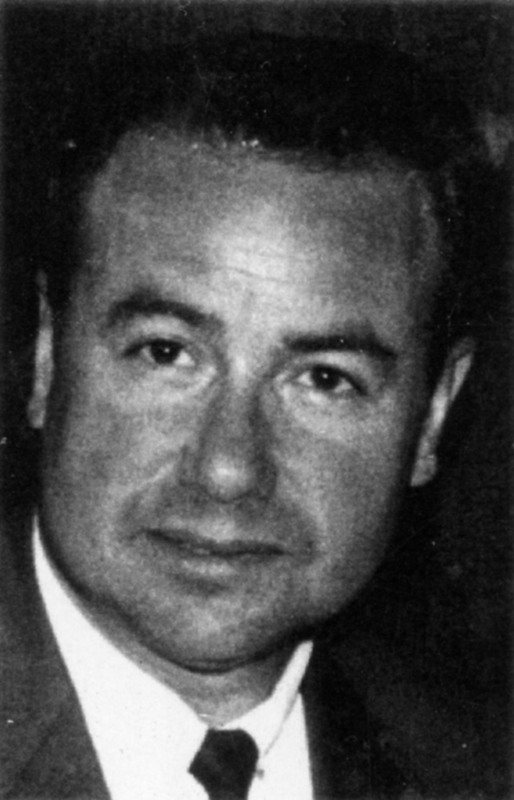 In 1967 Andrew Tomas presented Jacques Vallee with a summary of the Blue John case, which I mentioned in my last blog entry. Vallee wrote about this meeting with Tomas in Forbidden Science I: ”He told me a long, intricate story of a London woman who is said to have intercepted a Morse message between an extraterrestrial and a British physicist. She went secretly to the appointment, saw the whole thing and revealed her presence. 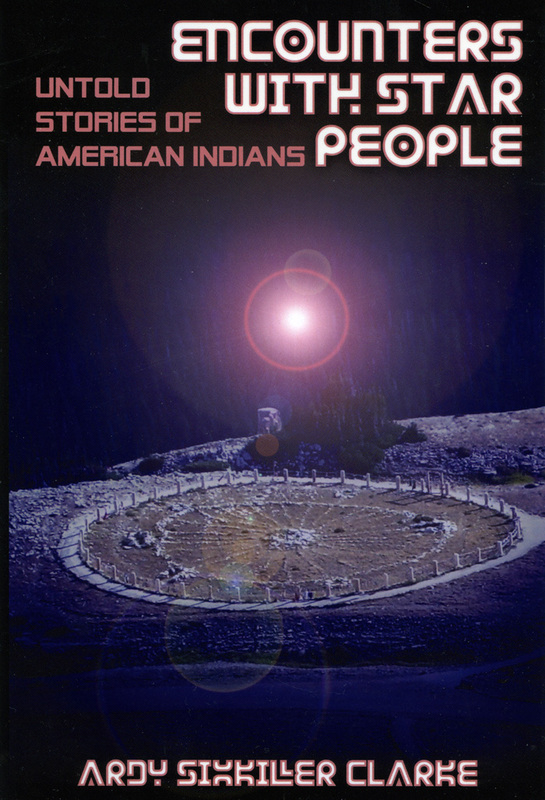 The rest of it is an undocumented tale with the usual garbage about Aliens who come from very far away and learn our language while they sleep during their long trip. It happened in 1962 and the woman´s name was Mrs. Marchwood. I listened politely to all this, took my leave and went to catch the bus that would bring me back to my computer.” (p. 328). What many scientific ufologists fail to recognize is that this kind of emotional response is simply a reflection of the naive new age ufologists who already know the answer without investigation. 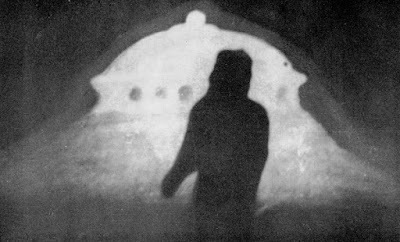 Mention the name George Adamski or Howard Menger among serious scientific ufologists and you will without hesitation receive comments like liar, fraud, cultist, charlatan etc. without much argumentation or discussion. There are of course ufologists who dare to go beyond the accepted mainstream pathways but they are usually lone wolf investigators, not active in UFO organizations. Researchers like John Keel, Timothy Good, Ardy Sixkiller Clarke and Robert Hastings, to name just a few. They combine personally investigated data, thoroughly documented with intriguing theories. 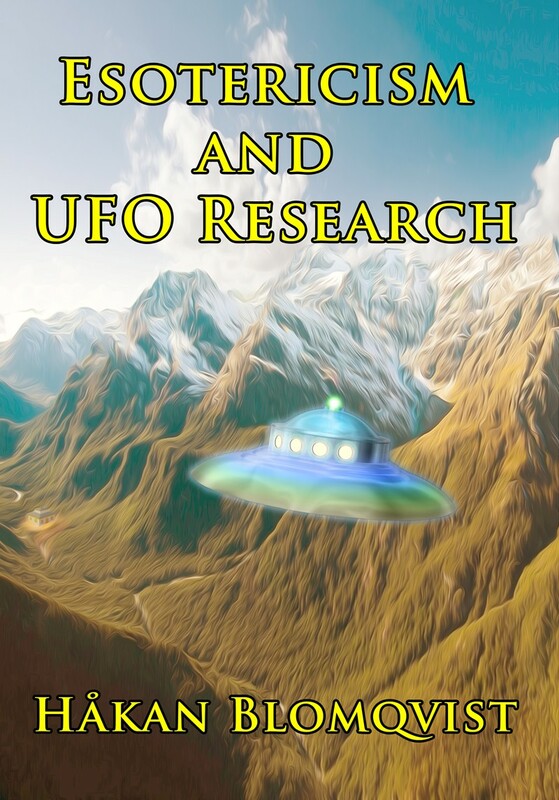 This is real UFO research, addressing the most complicated and challenging close encounter and contact cases. As I mentioned before there appears to be several groups of alien visitors from somewhere, involved in different type of activities on our planet. Based on contactee cases I have personally investigated some are benevolent, others neutral och a few decidedly hostile or dangerous. Of the benevolent variety we find the visitors behind such names as George Adamski, Orfeo Angelucci, George Van Tassel, Howard Menger a.o. Whether they are really neutral is difficult to surmise but in this category I would place the contact experiences of the Swedish lady Anna and her husband. A summary of their story can be found on two earlier blog entries, We flew in from the east, part 1 and We flew in from the east, part 2. 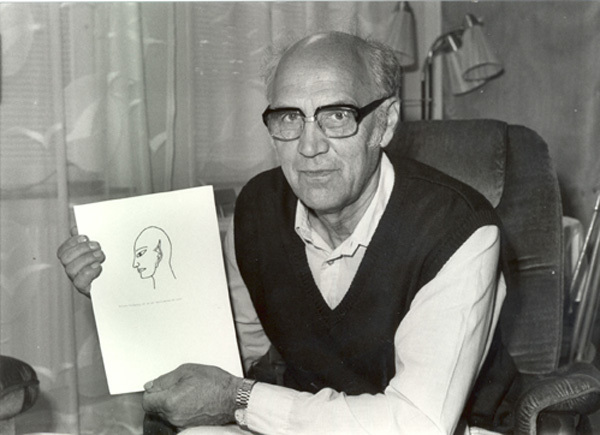 Probably hostile or dangerous alien visitors were involved in the Richard Höglund case. 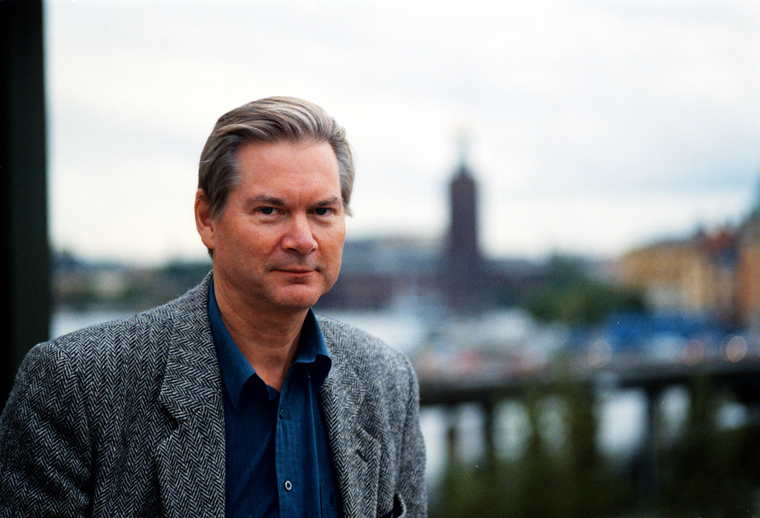 Gösta Johansson, friend of Richard, was in 1968 told that if he wished to become involved with the visitors it could be arranged. In an interview Gösta told me: ”I didn´t want anything to do with them. They really scared me and I said to myself. God help me if I become involved with these people”. Gösta was convinced this alien group were a kind of mafia, simply using their contactees. 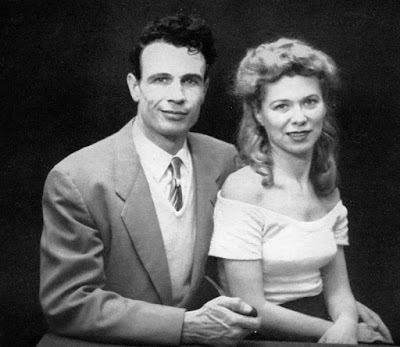 An interesting detail in this case is that Richard and his wife Gunvor for a short while worked in the Bahamas for Louis (Lou) Chesler, front man for the famous organized crime boss Meyer Lansky. The dilemma of Gösta Johansson could of course be faced by any investigator of contactee cases. And then it becomes a real moral problem. Suppose you get one hundred percent personal proof that a real contact with some type of visitors is going on. If it is a benevolent contact you don´t wish to disclose details that could hurt or complicate the contact. If the contact is destructive, going to the police is not an option. Who would believe you? I guess this is the dilemma facing the small specialized groups within the intelligence community who are aware of the situation and covertly trying to handle it to the best of their abilities. 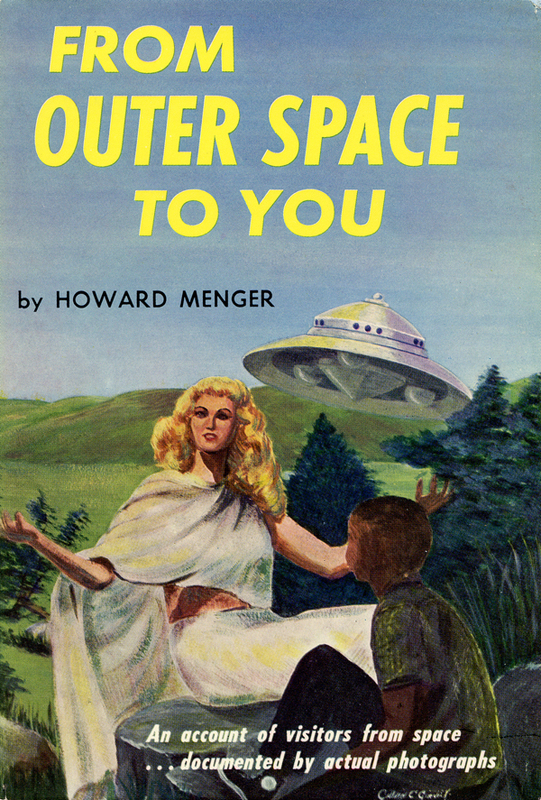 It appears that the American ufologist Carol Honey faced this dilemma, after his involvement with George Adamski. As revealed in his Science Publications Newsletter. 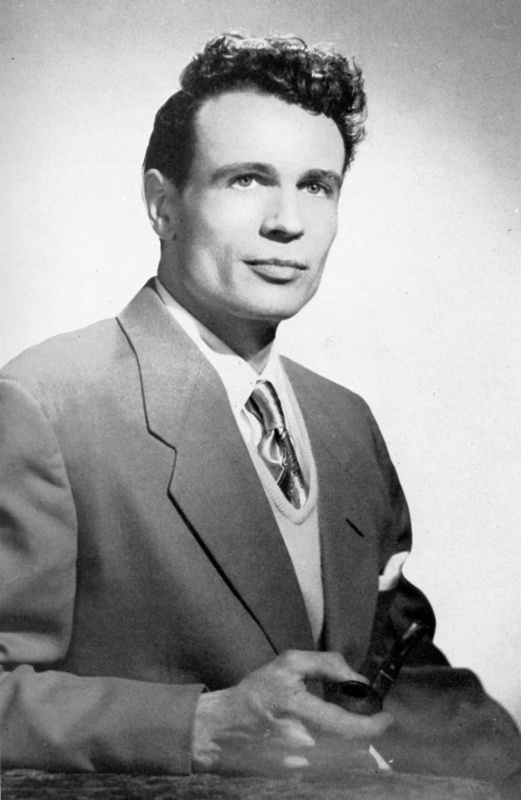 He was contacted by the visitors himself and came to realize the depth and complications of the enigma and the problems of communicating this to the public. In a letter 1968 to Edith Nicolaisen, founder of the Swedish publishing company Parthenon, Honey wrote: ” George Adamski went off the beam before he died and many statements he made has destroyed much of the good he did previously. I can only back up the information in his first three books and most of this I can´t back up with physical evidence. I have had personal experiences myself which proved a lot of things to me but I will not make them aviable to a skeptical public." (Letter, February 10, 1968). 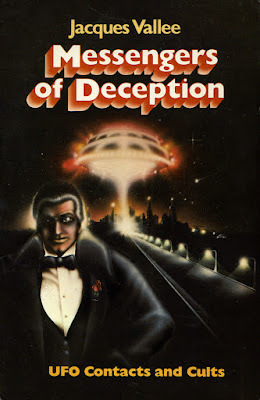 Books like Operation Trojan Horse by John Keel, Messengers of Deception by Jacques Vallee, Alien Base by Timothy Good and Encounters With Star People by Ardy Sixkiller Clarke ought to make ufologists aware of the real UFO enigma behind the ordinary and trivial reports. It involves so much more than misidentifications of the planet Venus or vapor trails. But to realize this and become involved with these aspects the ufologist must also be a passionate UFO detective.